November 27th was no ordinary day. From coast-to-coast-to-coast, millions of Canadians rallied together to donate, fundraise, volunteer, and simply “do good stuff” in celebration of #GivingTuesdayCA—a day dedicated to giving back, following Black Friday and Cyber Monday, kicking off the holidays and the giving season. 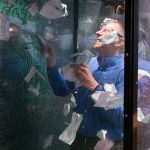 For the sixth year in a row, GivingTuesday once again proved to be the most impactful day for charities and communities across the country (only second to the last few days of December). The GivingTuesday magic was felt all over campus, as students participated in the university’s “Start Right Here” campaign, in support of the new Learning Commons and for students to realize their full potential. On-campus activities included Social Media Bingo and a “Grab & Give” money booth, which encouraged students to raise awareness of #CapUGivingTuesday and give back. Together with its partners, such as Salvation Army and Habitat for Humanity, the Recycling Council of Alberta collected gently-used items at 19 locations throughout the city of Edmonton, as part of the organization’s #GiveACrap campaign. 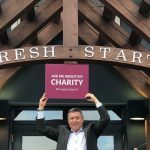 As a charity that provides recovery services to those going through addiction, Fresh Start Recovery Centre hosted a pep rally and lightning rod event featuring speakers from the private and nonprofit sector. 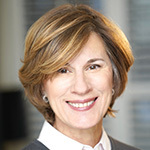 The event saw 108 people in attendance, where speakers talked about the importance of community, especially in support of those looking for a fresh start. 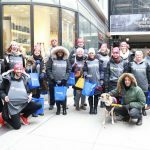 The streets of downtown Toronto lit up and came to life, as Fred Victor and its volunteers took over the city’s core, ringing cowbells, chanting, and spreading the joy of GivingTuesday. As a charity that supports the city’s homeless, Fred Victor’s mission this year, through its “Ignite The Night” campaign, was to bring warmth to those in need. By the end of the day, 300 candles were handed out to everyone they met and $10,000 were raised to help fund Fred Victor’s program sites and shelters. 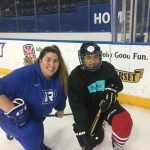 Hockey 4 Youth took to the ice at Ryerson University for 24 hours of hockey games—but not before receiving tickets from MLSE to a Monday night game, hosted by the Toronto Maple Leafs! This “hockey-thon” GivingTuesday event brought awareness to the existing barriers for new Canadian youth who want to play ice hockey, an enjoyable yet pricey sport. 70 youth came together for a fun day of skating, pizza parties, holiday gift bag giveaways, and thank you card signings. Not even a snow storm could stop Action Centre’s GivingTuesday efforts. 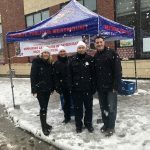 On top of hosting an open house to help educate the community about its services for the differently-abled, the organization also partnered with the Westmount municipality for the first time to collect food as part of the city’s “Pack the Patrol Car” food drive. 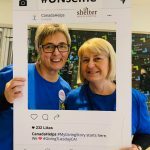 Joining forces with RBC, Shelter Nova Scotia and its volunteers took to Scotia Square to spread awareness about the province’s most vulnerable and to talk to people in crisis. A community booth was set up, where donors pitched in and joined for quick photo ops with the #UNselfie social media frame. The day was a great success, with enough funds raised to give 64 nights of rest to those who depend on the services and shelters run by Shelter Nova Scotia. Thank you to our charity partners for sharing these wonderful photos: Canadian Hospice Palliative Care Association, Capilano University, Recycling Council of Alberta, Fresh Start Recovery Centre, Fred Victor, Hockey 4 Youth, Action Centre, and Shelter Nova Scotia.